Zen is going to be a make or break product for AMD’s Desktop CPU business. After Rory Reed’s failed move to focus on mobile AMD has been well behind their rival Intel for the desktop performance crown. This was really not a big surprise given the deficit that AMD had in terms of revenue since the ATi purchase. 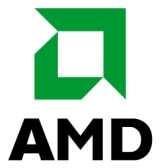 However, AMD’s outlook has not been 100% doom and gloom. They have made a few very strong partnerships and are exploring licensing some of their patent portfolio to keep things going on the financial side. We would not be surprised to see a few more deals hit the tech press after Computex to help shore up their reputation with investors and stock holders alike. Because of this it means that Zen cannot be like the Bulldozer launch. It must compete with Intel’s current batch of CPUs and not the last generation. On paper the architecture looks very solid and reminds us of AMD from years past in terms of what they are trying to do. Where things will actually come home is in memory performance. The last few generations of AMD CPUs have not had great memory performance compared to Intel. It has led to inefficiencies in performance that are hard to overcome even with lower prices. As we have said before, AMD needs to knock this one out of the part to remain relevant for the desktop CPU market. So far, there are some numbers floating around, but these cannot really be confirmed and might not represent real performance once these CPUs hit the streets. We honestly hope that AMD pulls this one off and Zen is the beginning of the turnaround for AMD. We would not go so far as to hold our breath though.